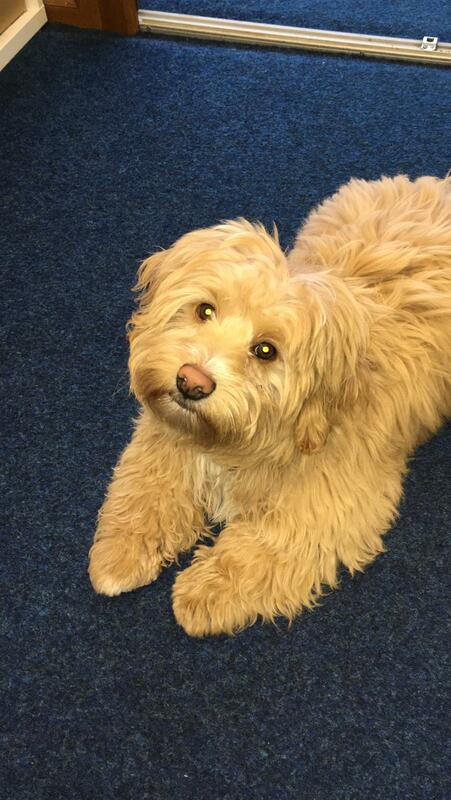 Connie Rothman Learning Trust welcomes Eddie, our newest therapy dog, to the team. Eddie is a happy and gentle mongrel and is 6 months old. He came from a village outside Wimborne and loves attention, chewing shoes and is extremely sociable. Our previous therapy dog, Sparkle, has now retired. Children who experience anxiety and other mental health problems may find their learning experience enhanced with the presence of a therapy dog. They can be used for everything from helping with lessons to teaching social skills and responsibility. They help students with emotional problems that interfere with learning, and can lessen depression, decrease feelings of isolation, encourage communication, provide comfort and decrease anxiety. Petting dogs can facilitate lower stress levels by increasing the levels of stress-reducing hormone oxytocin and decrease production of the stress hormone cortisol. These hormonal changes can help a nervous child feel more relaxed about performing learning activities, such as reading out loud. The non-stressful and non-judgmental environment they promote helps increase self-confidence allowing for the children to focus better and improve skills. Dogs can therefore not only lower stress levels but also improve academic performance. If you think your child could benefit from working with Eddie, please get in touch with us to discuss further on 01202 433 673 or hello@crlt.org.uk.